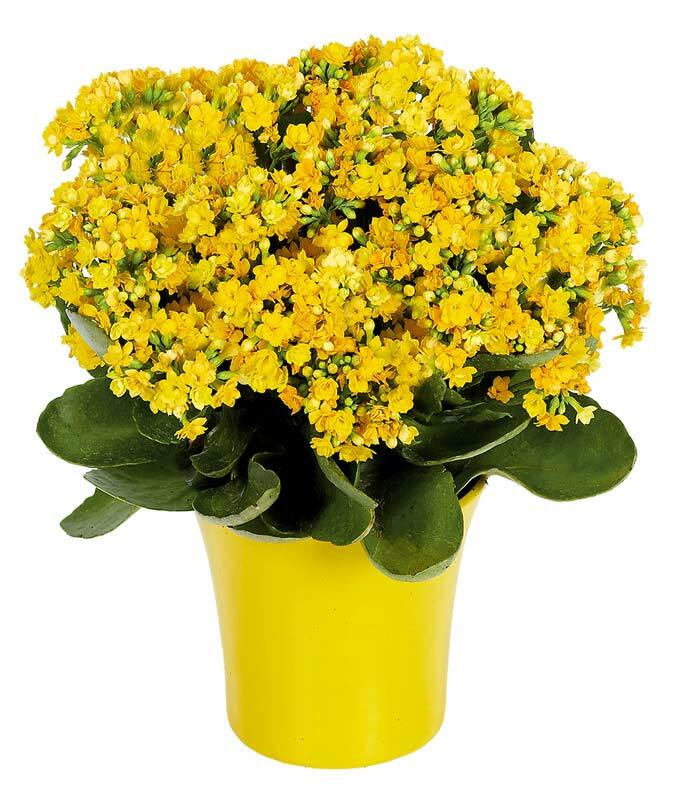 With delivery available fast, the Yellow Kalanchoe Plant makes for a colorful gift that is easy to care for. Yellow kalanchoe is arranged by a local florist in a bright yellow cache container. Whether for a housewarming or office gift, this plant is sure to bring sunshine to your recipient. Measures 9"H X 9"L.